Background/Info: Belgian project Aiboforcen is back on track with a new work, which has been released 7 years after the “Dédale”-album. “Dédale” also saw the daylight 7 years after the previous full length (cf. “Kafarnäum”). Benoit Blanchard remains the single operator when it comes to music, but he again was joined by several guest singers. Patrice Synthea (Regenerator) is somewhat presented as the band’s singer although she only sings a few songs. Other vocalists are Jean-Luc De Meyer (Front 242, 32 crash, UnderViewer), Mari Kattman, Damasius (Mondträume), Jan Dewulf (Mildreda, Diskonnekted), Lars Bass (Kant Kino) and Dan Barrett (Venal Flesh). Content: Globally speaking “Sense & Nonsense” remains in the purest tradition of Aiboforcen. This band always has composed a very personal sound, which is dark, sophisticated and covering different influences. I can easily affirm that the new songs are more ‘pop’ than ever before, but don’t expect to hear traditional electro-pop. “Sense & Nonsense” features many melodic passages and catchy arrangements, but the sound is also dark and has something vicious. A few other cuts are a little bit harder and walking on EBM paths. Patrice Synthea might be considered as the main vocalist although Jean-Luc De Meyer sings on 3 songs. One of these cuts entitled “Loud” is a real special one as it’s a cover version of Front 242! The limited edition features a bonus disc with a few new songs (featuring the title cut), and also songs featuring a few extra singers such as Diana (Junksista) and LadyHell (Lovelorn Dolls) plus the usual load of remixes by Diffuzion, Aesthetische, Neikka RPM, Daniel B/Prothèse, Implant, Psy’Aviah and Kilmarth. 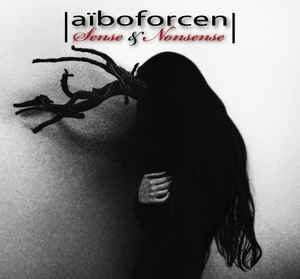 + + + : Aiboforcen remains a unique sound project, with an intelligent electronic approach. It has something pop-like, but definitely an antidote to the classical electro-pop standards. This is darker, even somewhat tormented, but still EBM-driven. The songs are featuring great strings and the usual amount of endless bleeps and filtered sound sequences. The female singers inject fragility (Patrice Synthea) and grace (Mari Kattman) creating a delicious contrast with some orchestral arrangements. Jean-Luc De Meyer stands for the harder (male) vocal touch while Damasius is probably one of the most talented vocalists featured. The cover of Front 242’s “Loud” (“Pulse”-album) sung by Jean-Luc De Meyer is one of the most surprising songs, but it simply confirms Belgium remains the country of surrealism. I like this pop approach running through different songs and reminding some of the band’s most legendary cuts. Last, but not least the bonus disc features multiple noticeable remixes. Daniel B/Prothèse did an amazing job remixing “We Woke Up The dragon” sung by his old band mate Jean-Luc De Meyer. I also want to mention the remixes by Implant, Psy’Aviah and Aesthetische. – – – : The songs featuring the most legendary singer of the EBM scene (cf. J-L De Meyer) aren’t exactly the best songs from the album and that’s a pity. The main point about this album is probably its eclectic aspect. Some songs are really too different from each other so you sometimes get the impression two hear different bands on the same disc. That’s only accentuated by the different guest singers. Conclusion: Aiboforcen is back on track, but feels like the band has never been away. It gets you a feeling of ‘coming home’ revealing multiple brilliant songs. Let’s no hope we’ll not have to wait 7 more years to get a new album. Best songs: “In My Arms feat. Mari Kattman”, “Etching Herself In acid feat. Lars Bass/Kant Kino”, “Ritual Control”, “Life In The Valley Of Death”, “Caresse”, “Ablation A Vif feat. Dan Barrett/Venal Flesh” + “We Woke Up The dragon feat. 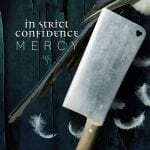 Jean-Luc De Meyer – Daniel B/Prothèse Remix”, “Come Clean – Implant Never Comes Clean Remix”, “Lost In Translation feat. LadyHell/Lovelorn Dolls”, “Sense & Nonsense”.